Staying Healthy Amidst a Crazy Year of Travel + $100 Giveaway! I can’t believe it, but it’s already November. With daylight savings gone, the way-too-early sunsets solidly indicate the arrival of fall. Another academic year beginning, another summer that came and went by way too quickly. Another foreboding look into another winter that we really hope won’t be as bad at our record-breaking snow dump last year. This past year has been, by far, the most crazy, unpredictable, and all-around different year in a long time. Part of it came from the flexibility of my job. For the first time in my entire working life, I switched from working as an employee in a corporation to being a consultant who worked for myself. With this new change came great responsibility (there’s a lot of stuff that comes with running your own business!) but also great flexibility. With Bryan traveling so much for work, I took advantage of my flexible schedule to travel a bit more with him this past year. In September of 2014, after a reasonably quiet summer where we stayed mostly local, I joined Bryan on a fascinating two-week trip to Malaysia and Singapore. 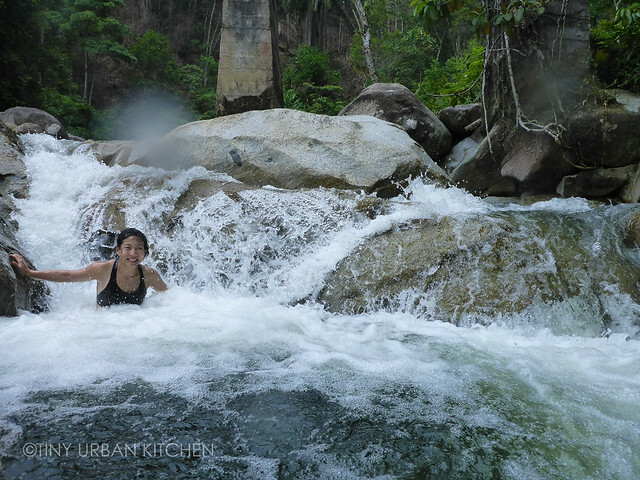 I had a ton of fun taking cooking classes (check out all the scrumptious recipes here), hiking in the tropical wilderness, and eating all sorts of amazing food. In November, we signed up to get SCUBA certified, doing our final certification dives in Hawaii. It was our first time visiting all the islands, and we had a blast exploring the scenery in Maui, swimming with the turtles in Kauai, diving with Manta rays in the Big Island, and doing the most difficult (and one of the most beautiful) hikes in my life. After a warm Christmas in Los Angeles with Bryan’s family, we headed off to Las Vegas for our annual trip to attend the Consumer Electronics Show. We tried a lot of steak and enjoyed a meal at a fun Japanese izakaya. Then the dreaded winter of 2015 hit us. 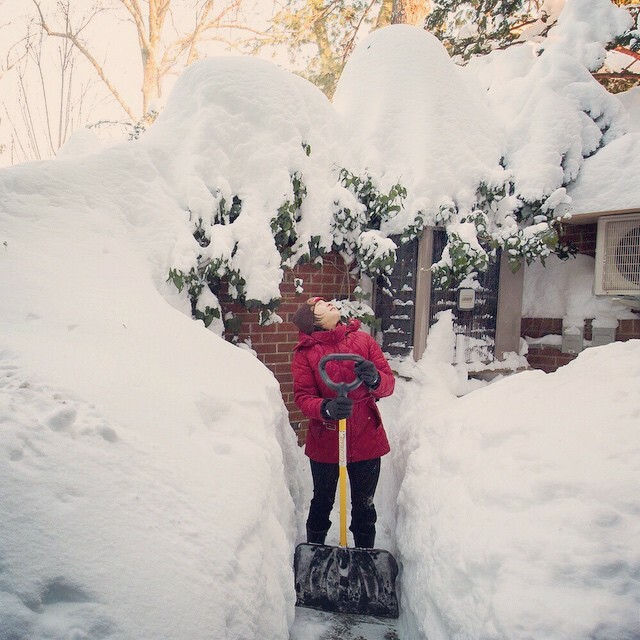 Snow and lots of shoveling took over our lives. Traveling went way down. I bravely flew to Philadelphia in mid-February to give a workshop at an ITASA conference, only to have to reschedule my flight to get back to Boston before yet another snowstorm would hit. Before you knew it, April was here and the snow was finally (mostly) melted. We whisked off to Orlando (Bryan had a conference there), and had fun in the sun again at the Happiest Place on Earth. Can you tell I’m trying to go to warm places? In June we visited London and Munich, trying a ton of fancy Michelin-starred restaurants in London and famous beer houses in Munich. In July, we spent a long weekend in Montreal, checking out the annual jazz festival and enjoying lots of delicious food. A trip to New York, and Napa/Sonoma Valley followed to finally bring us to October. Full circle. It’s most certainly been the most crazy, unpredictable, and all-around different year I’ve ever had. I’ve had very little routine these past 12 months. And it’s hard to stay healthy and to stick with any sort of good habits when traveling so much. So what is one thing I been doing to stay healthy amidst such a crazy and unstructured schedule? Answer in this video that I made (with BlogHer’s help)! As you can see in the video above, I try to take vitafusion™ Extra Strength D3 gummy vitamins to make sure I stay as healthy as possible. Living a healthy lifestyle is often equated with deprivation and perfection, but vitafusion™ believes that healthy habits should be enjoyable so that you’ll keep on doing them. These gummies are tasty, convenient, and easy to swallow. Additionally, they are gluten-free and made with natural fruit flavors and colors derived from fruits, vegetables and plants. Learn more here! I have recently accepted a full-time position at a new and exciting venture-backed startup in Cambridge as head of intellectual property. It was a fun ride of a year being a consultant, but I’m ready to “settle down” and embark upon a new adventure! I received free product and payment for this sponsored post. All opinions are 100% mine. How do you stay healthy when life is hectic? Leave your answer in the comments section below for a chance to win a $100 Visa gift card! Be sure to visit the vitafusion brand page on BlogHer.com where you can read other bloggers’ posts! I stay healthy by trying to eat right (maybe just ONE piece of chocolate per day rather than multiple – ha!). I also make time to enjoy my favorite exercise – figure skating. When life gets hectic I try to keep more routine than usual in any other aspect that I can – for example, working out at the same time each day, rotating through a few (healthy) meals each week so I don’t have to think about it, and counting on friends and family to keep me accountable. I always try to make time for exercise, even if it’s just a walk! I stay healthy by taking my vitamins and by going on daily walks. I stay healthy by eating a good breakfast to help me start the day. I exercise everyday, and eat lean meats, veges, whole grains and take vitamins. I try to walk a lot to my destinations and have cut veggies ready to eat in the refrigerator. Trying to stay well rested -and get fresh air! I just try to eat well and continue to take my daily vitamin. I just gave birth 7 weeks ago and I’ve been trying to exercise by taking strolls around the neighborhood and walking around the house while wearing my baby. Even if life gets hectic, I get up earlier in the morning to exercise. I also bring portable healthy snacks in my car so I am not tempted to eat fast food. I try to be healthy by eating healthy and small meals whenever I can. Oh, I also take my daily vitamins. try to stay healthy by running at the gym after work or going to yoga! I stay healthy by being conscious of how much coffee I drink and setting goals to get outside and always breath some fresh air everyday! I try to catch up on ear, sleep and sunshine on the weekends! My husband and I are also starting a new exercise program… in our basement. It’s much easier when we don’t have to go far or dress up to exercise. I make sure to eat healthy no matter if life is hectic. I also take vitamins and make sure to eat lean meats, vegetables, whole grains, fruits. I make a lot of my meals ahead of time so I do not have an excuse to not eat healthy every day. I sleeeeeeeeeeeep to stay healthy! I try to work out if possible every day when travelling- even if that is a nice long walk to explore parts of whatever city we are visiting. When it’s nice enough outside nothing beats exploring during a morning run! Great post and huge congrats on the new position! Hopefully this means I’ll somehow see you and Bryan more often! I stay healthy by making sure I always have some meals in the freezer so I can eat well even when I’m busy. I exercise and take a multi vitamin and vitamin C.
Staying positive and looking situations in different perspectives helps me stay health. Vitamins! Someone once told me that zinc is key to avoiding colds so I take a multivitamin everyday that includes zinc. Also, taking 15 minutes to stretch each evening makes a big difference in how I feel the next day. Eat vitamin C supplements and make sure to get lots of sleep! I eat well daily to stay physically healthy, and take walks, to relieve stress, to stay mentally healthy. I take a multi gummy vitamin everyday – drink plenty of water and get my sleep – it is tough sometimes but staying healthy has to be a habit! I exercise as much as possible, eat a healthy breakfast every morning and try to take a vitamin every day, which isn’t always easy to remember! Definitely going to look for vitafusion gummy’s next time I am shopping! I go for a run in the woods. Connecting with nature is vital to my well-being. I try to carve out an hour each day to exercise. It keeps me on track with healthy eating, and makes me feel better when my stress level is high. Planning ahead and prepping meals or having healthy snacks on hand that I can stash in my car, desk, or purse are also a must! I stay healthy by meditating and by drinking lots of soothing teas! My favorites are mint tea and chamomile tea! I stay healthy by drinking water, having balanced meals and squeeze ten minutes for exercise when life is hectic. Make sure to get plenty of sleep! I walk on my break and lunch at work. When life is hectic I still try and eat right and stay active. I try to get a decent amount of sleep and stay hydrated! This time of year I amp up my vitamin C as well! I work out and try to leave the city once a month to get away from all the noise and craziness! I try to plan our meals and not decide last minute what we’re going to eat. I also keep healthy snacks in our house. I make nutrition convenient for my family by providing them with Vitafusion Lil Critters we all love them. I drink lots and lots of water to stay hydrated and make sure to always work out even when life gets busy! I drink plenty of water and only eat plant based foods. I try to eat well and take a few minutes to exercise even when things get hectic. I take my gummy vitamins! Best invention since the flat screen TV! I achieve consistency by reminding myself of the reasons why I adopted the new habit, usually the reminder is always trying to be a good and healthy role model for my child. Sometimes being healthy is tricky for me though! I try to stay healthy by staying hydrated with water and remembering to walk daily. I try to make sure I still get a reasonable amount of sleep each night. I stay healthy by making sure I still get enough sleep every night. I treat my exercise as an appointment with myself to keep it a top priority despite what else is going on. I stay healthy by taking my vitamins and by going on daily walks with my dog. I make the time to walk for a half hour daily even when my life is hectic. Vitamins definitely help! Also, this past year I got started on essential oils which have been helping immensely! Even when life is hectic, I try to get as much sleep as possible and stay well hydrated. I STAY AS ACTIVE AS POSSIBLE! Wow! What a thrilling year you have had. I understand how difficult it is to maintain a healthy lifestyle when you are crazy busy. My life is much more structured. My children are adults and I’m alone in my household so it’s easy to establish routines and eat that well balanced diet that keeps me on track. I stay healthy by drinking lots of water, taking the stairs when I can, and not eating in the car or on the run! When life is hectic, I really try to incorporate more healthy eating into my diet. Less meat and more veggies! When things get stressful, I tend to overeat because I am a food addict. It is a constant struggle. But I try to stick to my organic diet and always stick to my vegetarian diet to try and be healthy, even if I eat too much. I try to stay active to stay healthy when things are hectic but also take time for myself! I go to the gym at least once a week! Thanks for the chance! I make time to exercise. There are days when it is hard to stay on my healthy routine with a lot of chaos going on. I just don’t beat myself up over it and get back to my healthy routine as soon as possible. I do a lot of yoga to de-tune in the meantime. I try to stay healthy when life is hectic by taking vitamins every day in the morning. I need a little alone time every day to keep healthy and sane. So even if it’s just a quick hot bath at the end of the day, I try to have a quiet moment to regroup. One of the ways I try to stay healthy is by cooking at home more than eating out and by packing lunches and snacks so I’m not as tempted by “junk” foods when I’ m out. I make sure I drink plenty of water every day! i make sure to keep healthy staples in the house and temptations out.